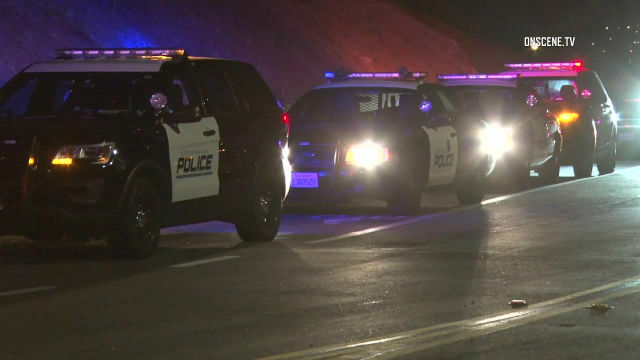 Two teenagers were stabbed in separate incidents Saturday evening in Escondido, but neither would tell police what had happened, officers said Sunday. The incidents come after two other stabbing incidents in the preceding 24 hours — one involving a boy who brandished a knife at a movie theater and cut a patron, and the other involving alleged gang members who approached two teens and stabbed one of them. Police gave no indication that the attacks were linked, and all four incidents remained under investigation Sunday, hampered by silent victims. The first Saturday stabbing was at around 5:30 p.m. near the intersection of North Hickory Street and East Pennsylvania Avenue. A 17-year-old boy was found screaming and bleeding from his pants, according to Escondido police Officer Brandon Byler. Police found the victim collapsed in a parking lot and gave him first aid until paramedics were able to take over. The victim, who was determined to have an outstanding felony warrant, wouldn’t cooperate with officers and did not give a suspect description, Byler said. He had non-life-threatening injuries to his legs and was expected to survive. Just after 8 p.m., officers were called to the area near Grape Street and Mission Avenue when a 16-year-old boy was found beaten up and unconscious on the sidewalk. The boy had several non-life-threatening stab wounds and a severely- lacerated finger, Byler said. That victim was also unwilling to cooperate with officers, Byler said.